The Upper Madison continues to hold its own through the first week of August, and while inconsistency is very much a part of this time of year we have had some very good days on the river lately. That said, there have been some very slow ones too, but that is sort of the name of the game from here on out as August is generally as inconsistent as it gets. 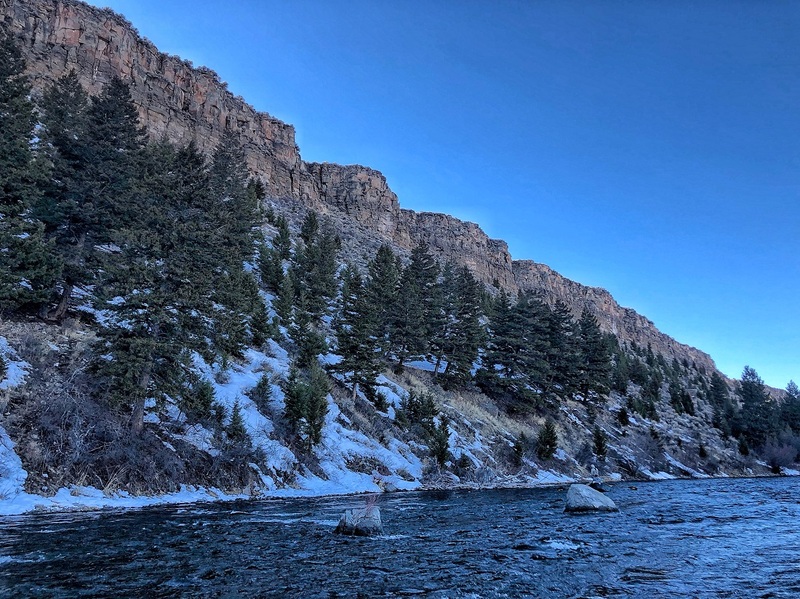 Water levels and temperatures have been excellent throughout the entire river, and the foot/boat traffic has been pretty slim from what we’ve seen in years past. Long story short, you could do worse that hit the Upper Madison right now if you are looking for some good fishing during the dog days of Summer. Dries have been the delivery method of choice for most of us lately, and we are seeing some really nice fish looking up for larger chubbies and nocturnal stone imitations from Windy Point down to Ennis. We’ve seen adults along the banks by Lyon’s Bridge but they still aren’t quite looking for them with much consistency yet. Spruce Moths have also been making their presence known in the areas lined with conifers so you’ll want to concentrate you efforts around the West Fork, Lyon’s Bridge, Windy Point, and the Madison Between the Lakes if you are looking for a moth drop. The best spruce moth fishing is usually from 8:00-11:00 every morning and usually a #12 Elk Hair or #16 Twisted Baby will get the job done 99% of the time. Most of the bugs are done on the lower river down towards Ennis but we are still seeing decent numbers of caddis fluttering about in the upper reaches. As we start to see fewer and fewer aquatic insects on the water, you’ll want to start thinking in terms of terrestrials and we have already started to see a few good ones coming to the Hopper as well as black and cinnamon ants. You’ll definitely have a lot of small fish poking their heads up right now, but if you keep at it you should be rewarded with multiple shots at some quality browns and rainbows. If you can’t get them to look up, nymphs are usually your best option. We are doing best on small serendipities, green machines, midges, tungsten red necks, and small emergers but don’t neglect the attractors this time of year. Medium and small rubber legs have also had their moments in the morning for the nocturnal stonefly nymphs. Streamer Fishing has been very good most mornings and the bite seems to be lasting a little longer down river than what we’ve seen the upper stretches. The biggest thing we’ve had to fool around with has been profile, as olive and black is generally about all you need to know from daylight until sun up, but we’ve noticed that some days they want a slimmer profile like a Peanut Envy or Double Screamer while larger profiles like Dungeons and Silk Kitties are more productive the following morning. Just keep changing it up until you crack the code, and you should do well out there.